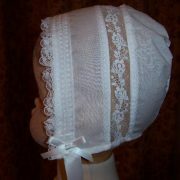 This pretty little christening bonnet has been styled from an original 19th century Victorian bonnet. 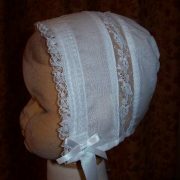 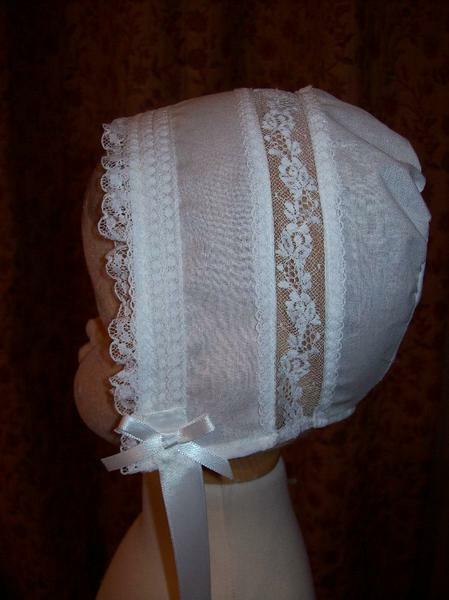 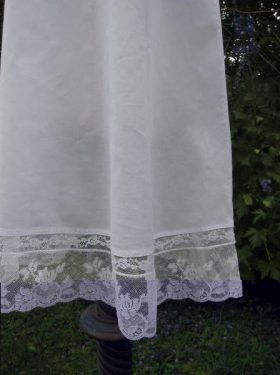 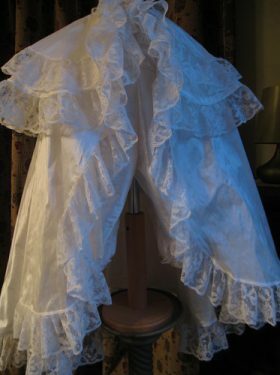 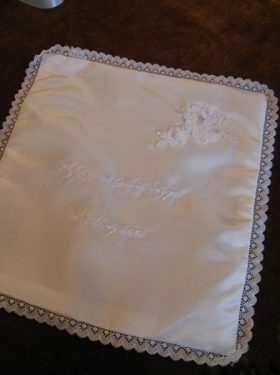 Made from a lovely soft cotton lawn with cotton lace trim, this is the perfect bonnet to compliment any Victorian or Edwardian reproduction christening gown. 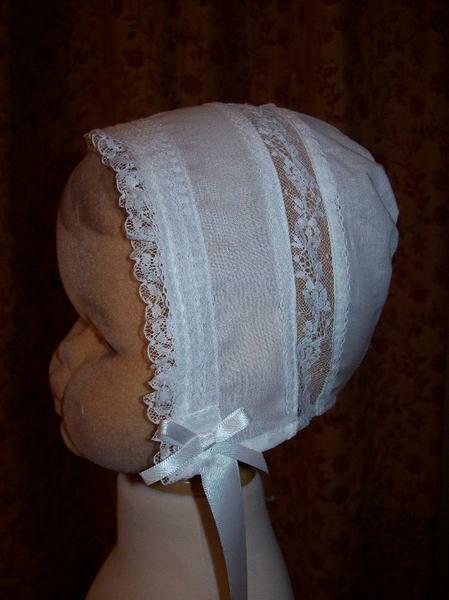 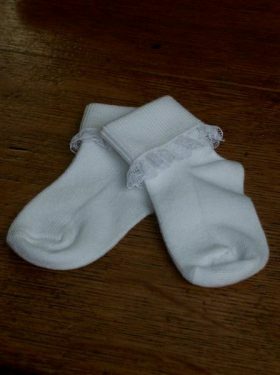 When chosing a bonnet with gown, please note that the trim will be used to match the gown.